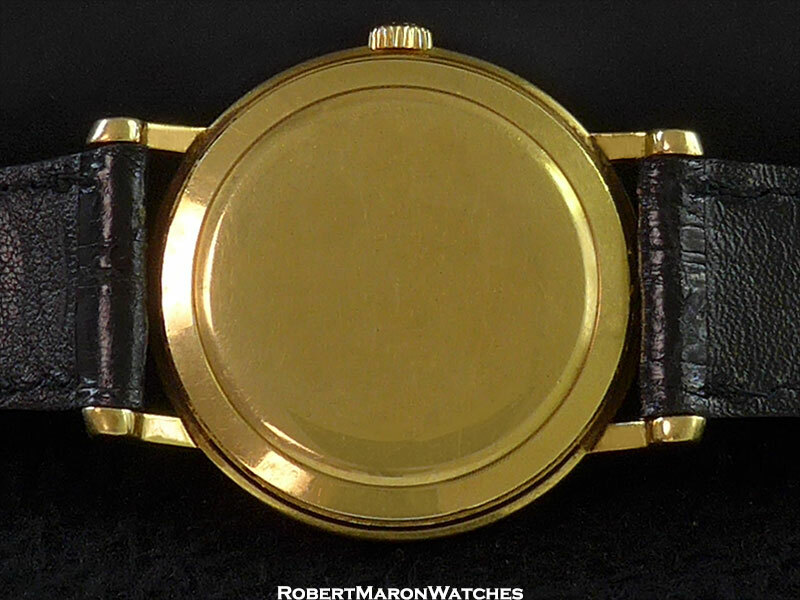 Additional Information Very beautiful watch with special dial and untouched 18k case. 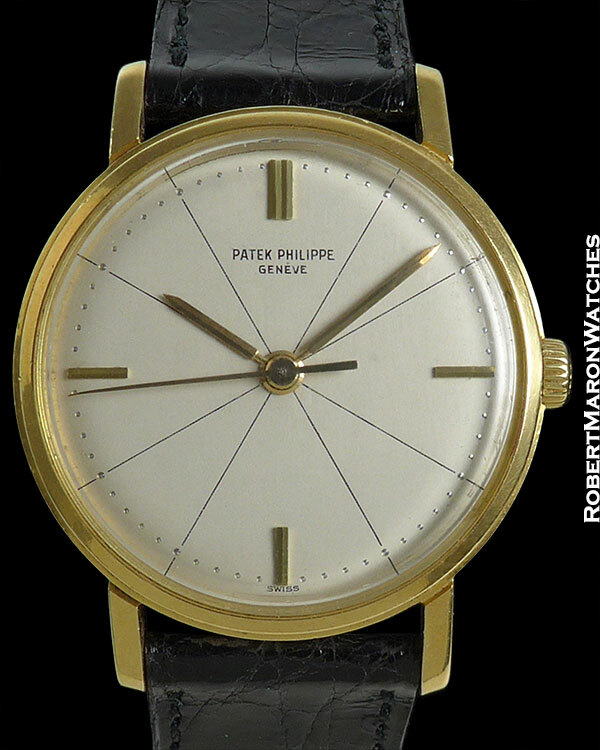 The cool thing about vintage Patek Calatravas is how many versions there were, how much variation around the theme there was, and how much of the variation between reference numbers was subtle. Consider this Calatrava, for example, with its rare and very pleasing “lines” dial, baton hour markers and baton hands and Caliber 27SC. This untouched 18k case and the rare dial are ooo-la-la nice. 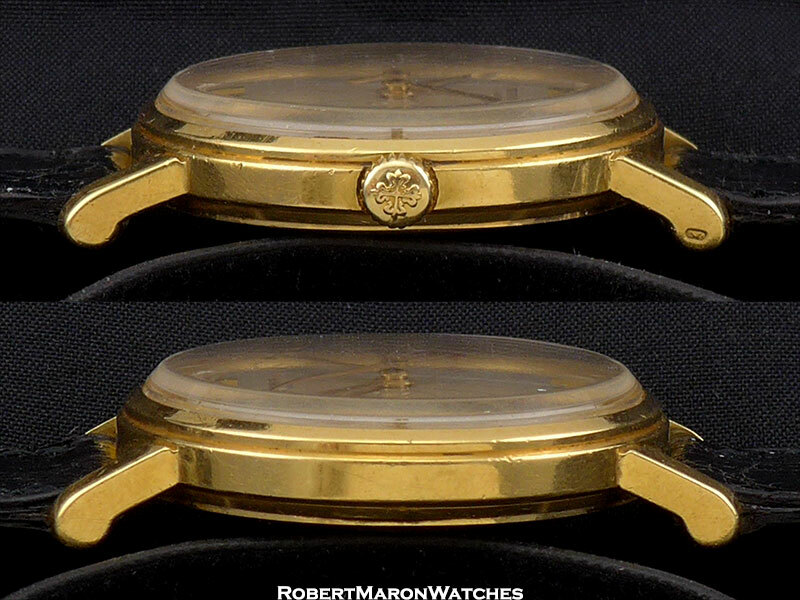 Unpolished 18k case is 34mm diameter by 10mm thick. The original acrylic crystal on this watch sits particularly high off the case, giving the watch a pretty unique look. The case still has its original mirror finish with long straight lugs and step down bezel. The case back is 18 snap on. Original untouched silver with applied golden baton hour markers and golden baton hands. The 12 o’clock position has a double marker. The minutes chapter is made by filling in little dot holes with gold. There are straight lines that run all across the dial connecting hour positions. 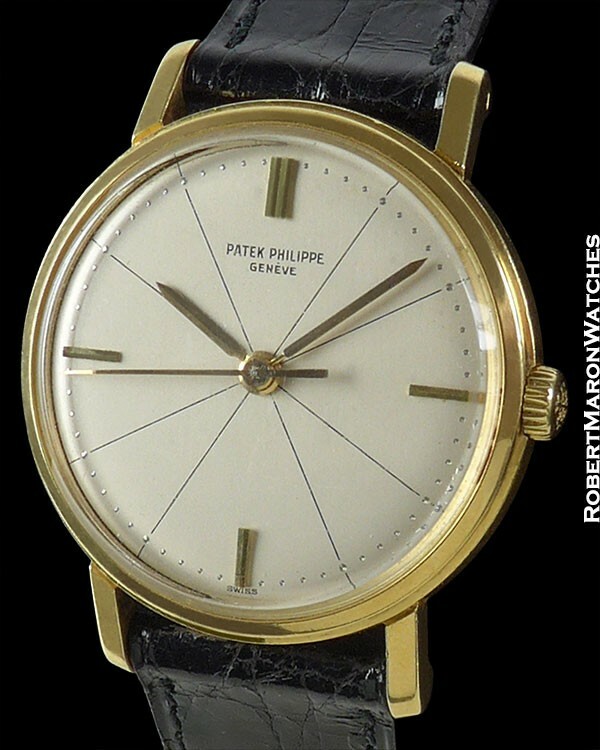 Movement is the manual winding Patek Philippe Caliber 27SC with 18 jewels; adjusted to heat, cold, isochronism and in 5 positions and double stamped with the Geneva Seal. Strap is new old stock Patek Philippe vintage alligator. Watch is in original condition, mint inside and out, and running fine. This is an extra-pleasing watch and an affordable price for its rarity.